Join us in Revolutionizing patient care on the Kenai Peninsula! Revolution Sport and Spine Therapy was conceptualized in September 2015 by our founders who wanted something more to offer our community and the peninsula in regards to physical therapy. We wanted to offer the most up-to-date evidence based interventions to our patients to provide the best and most timely care to everyone we see. That in part is why we pride ourselves in offering the most qualified providers. Many of our PT’s are board certified in areas such as Orthopedics, Neurology, Cardiovascular, and Geriatrics. We also are the only providers on the Kenai that have MDT practitioners in the Mckenzie method, that allows us to specialize in spine care and other joints of the body as well. We pride ourselves in our service and determination to assist you in achieving the best outcome possible for your condition. I learned that there is indeed a life after back surgery you just have to apply what you have learned to stay in good health you can not go back to your old bad habits . Heather has me thinking about good posture when I do a task in my life. Revolution Sport & Spine is simply the best. 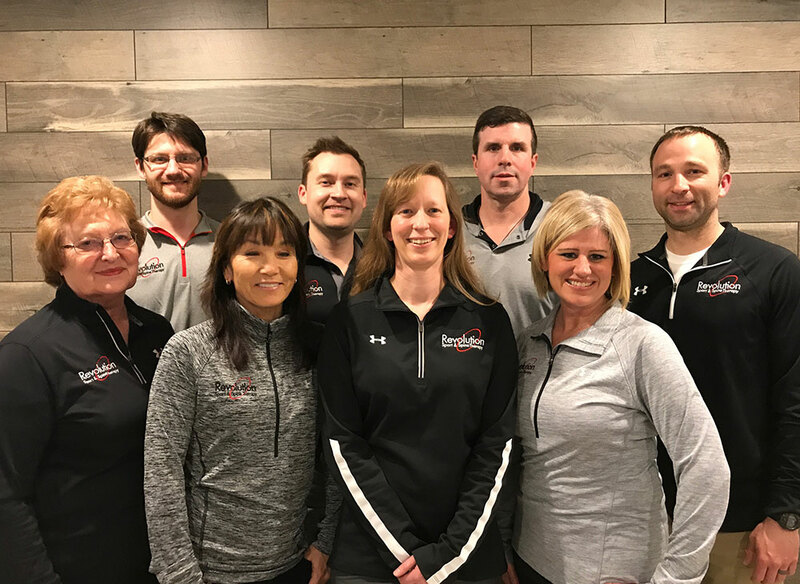 From Amy at the front desk, to the Physical Therapists who know their stuff and give appropriate guidance for at home exercises, the atmosphere is encouraging and supportive for a goal-oriented athlete. I’ve had nightly back pain for over 15 years. Prior to treatment the pain interrupted my sleep each night to the point that I was only able to sleep for 2 to 3 hours before it would wake me up. After treatment I’ve been able to sleep through the night uninterrupted by pain.